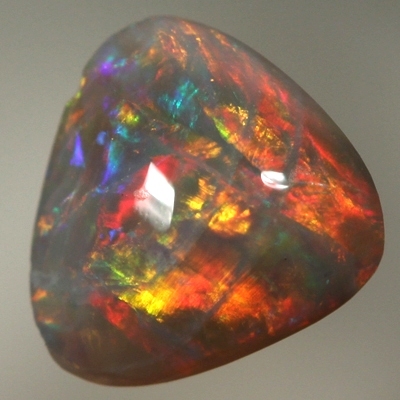 This beautiful opal is absolutely loaded with bright colours. This opal is very lively, flaming with very bright and very rich colours, all moving in and over the face of the opal in a 3D pattern. The fire ranges from red, green and blue, dominated by red. The colours are always moving bright and sparkly as the opal is turned. The colourful show this stone puts on is spectacular to say the very least.